Skulstad received his MD in 1990 and Doctor of Medical Sciences degree in 2006, both degrees from University of Oslo. He is a board certified specialist in Internal Medicine and Cardiology. He currently works as Head of Section of Cardiac Ultrasound at Department of Cardiology, Rikshospitalet. Prior to this he was Head of Department of Cardiology at Akershus University Hospital. Skulstad has extensive knowledge in Doppler echocardiography, transesophageal echocardiography and cardiac imaging, as well as in experimental research and clinical studies. The main topics of his research are regional myocardial function and deformation echocardiography. 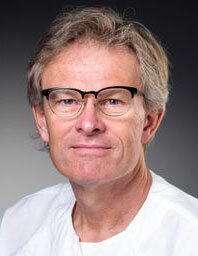 In addition to supervising several PhD fellows at the Integrated CardioVascular Function research group, Skulstad is also a senior researcher in the group for clinical and experimental cardiovascular monitoring at the Intervention Centre at Oslo University Hospital, where one of his projects is focusing on effects of epinephrine and betablockers on systolic and diastolic left ventricular function during therapeutic hypothermia. Skulstad has numerous publications in peer-reviewed journals of high impact and is sited several times. Epicardial ultrasonography: a potential method for intraoperative quality assessment of coronary bypass anastomoses? Postsystolic shortening in ischemic myocardium: active contraction or passive recoil?